Our hearts often become bitter due to circumstances in life. Many things such as disappointment and secret sin can rust up the inside of our hearts. God's desire is for us to enjoy the possession of a clean heart, a loving heart, a contented heart so that what flows out of it can be o blessing to those around us. - Publisher Ray Bevan argues that the condition of our hearts determines the success of our lives and he helps the reader cultivate a healthy heart. In the process of life our hearts can often become bitter due to disappointments and secret sin among other things, and can rust up the inside of our hearts. God's desire is for us to enjoy the possession of a clean heart, a loving heart, a contented heart, so that what flows out of it can be a blessing to those around us. There is a journey Jesus wants us to take. It's a journey we all must take if we want to be lovers of God and salt and light in our septic, dark world. It's a journey to the centre of our hearts. 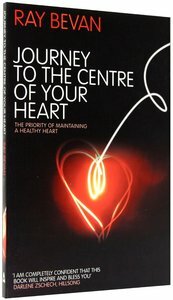 About "Journey to the Centre of Your Heart"
Ray Bevan argues that the condition of our hearts determines the success of our lives and he helps the reader cultivate a healthy heart. Ray Bevan is the pastor of King's Church Newport, Wales, and is an an international speaker, author and musician. He regularly appears on Christian TV channels both in the UK and USA.